Have you looked at your resume recently? Not what your accomplishments have been in life, but your actual written copy. Your resume is essentially the face you present to the professional world. 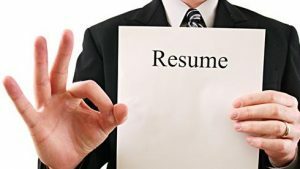 Unless you are independently wealthy or somehow have managed to ‘live off of the grid’, having an effective resume could make the difference between gainful employment and the heartache of financial difficulty. In your job search, you may have noticed that some jobs which are traditionally done by humans – from building cars to analysing stocks – are more and more done by machines. However, there are definitely some jobs which require a human touch – for example, no matter how automated things become, most companies recognize that in customer service, consumers want immediate support i.e. to talk to a human on the phone. This article argues that resume writing should be included in this category. Hiring has become more digitized. More jobs are being posted online; more companies use online services and recruiting tools. Surely large companies and government departments use algorithms to screen and process applications. However, no matter what your job, chances are, an algorithm won’t be hiring you. You as a worker are a human, you will probably be working with other humans, and hiring is ultimately a human-based/interpersonal decision. How do you choose what kind of resume service is good for you then? You want someone who understands that a computer or a blank form can’t create the position-specific resumes that you need. Employers can smell from a mile away resumes that have been copied-and-pasted, and they usually aren’t impressed. How do I find a reliable resume writing service that won’t direct me to a machine? Firstly, for any resume writing service, read the reviews in Google, Yelp and Facebook, paying attention to what they say. What are their results? How many people who are reviewing say that they got the job? Are they timely? Even though sending our resume into cyberspace for editing may be convenient, resume writing is writing and convincing texts take collaboration. Is this resume writing service local? Can they actually meet with you face-to-face to discuss your specific needs, your employability, how to synthesize your work history, etc? You should also ask about updates. For example, some positions are multi-step recruitment processes that require exams, writing assignments, or elaborations on certain periods or sections of work history. Will the resume writing service help you with these further steps, or will they leave you to your own devices after one draft? Is that going to be an additional charge? Another important issue is records. Will they keep your information confidential? Will they store it? Whether you want them to or not should be up to your discretion. However, computers crash, files disappear, and it never hurts to have an extra copy. Finally and most importantly, you should take an overall assessment of how reliable and effective the service is according to a few particular measures. Are they a new company, or do they have a track record of helping folks get employed? Just as important or if not more, will they ask you for a copy of the job-posting so that they can help make your resume specific to that position? Finally, are they realistic with what they are offering you in terms of the realities of the labour market in your particular field? This may seem like a lot, but resume writing is key to your professional life. Try to keep some of these things in mind when choosing a resume writing service so that you get the best resumes for your money.